BenQ announces availability of the CinePrime HT5550, a new high-performance mid-level projector at an attractive $2,499 price. Still the least expensive true native 4K projector on the market, Sony's VPL-VW295ES delivers punchy SDR and HDR images with superb sharpness and excellent color accuracy right out of the box. XGIMI's Z6 Polar is a clever swiss-army knife of a projector that fits a variety of lifestyle applications while delivering a surprisingly good picture for its price. Barco showed off new G60 Series laser projectors for the Pro A/V market at ISE this week, along with its brightest-ever, 40,000 lumen UDX large-venue projectors. Epson launches the new compact Pro L series of laser projectors with interchangeable lenses, and the new 30,000 lumen Pro L30000. BenQ's CinePro HT9060 and CinePro HT8060 are the company's most advanced 4K home theater projectors yet. The BenQ TH671ST's compact size, short throw lens, bright picture, accurate color, and fast 16 ms input lag makes it an ideal choice for apartments and dorm rooms where a big image and gaming performance really count. Optoma's HD27HDR delivers the benefits of 4K HDR content at 1080p resolution. We faced off Epson's new Home Cinema 4010 ($1,999) and Optoma's popular UHD51A ($1,699), two stellar values among under-$2K 4K projectors, to find out how they really differ in tech, features, and performance. Epson's new Home Cinema 4010 brings upgraded pixel-shifting and HDR tone-mapping over the last generation step-up, the HC5040UB. Here's our side-by-side comparison. A new sister to the well-regarded Optoma UHD51A, the Optoma UHD51ALV is virtually the same projector—but with a different color wheel that nets extra brightness for those who need it. Epson hits a home run with it's latest budget-priced 4K Enhanced home theater projector. 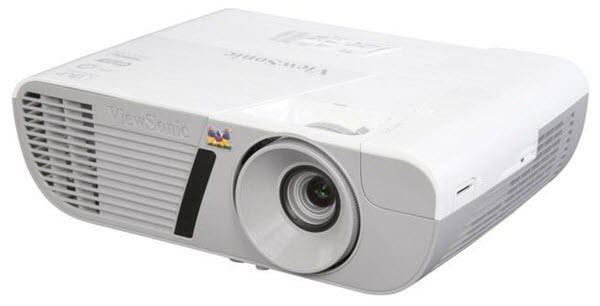 A high value, 4K projector for less than $1,500 that also offers 3D capability. The Canon REALiS WUX7000Z Large Venue Laser Projector packs a punch with its laser light engine while delivering excellent color and a wide range of lenses and adjustments for placement flexibility. Epson has brought its next-generation pixel-shifting and HDR rendering to an even lower price point in this high-value $2,000 projector. Epson Home Cinema 4000 vs. Optoma UHD60 Which is best for you?